Forty years earlier, Harvard University launched the first MBA program, seeking a scientific approach for teaching management at the dawn of America’s corporate age. DePaul initiated its MBA during the post-World War II economic boom, and its program differed from others by enrolling working professionals and emphasizing a practical business education—distinctions that remain today. 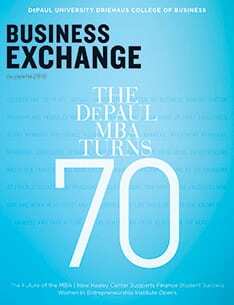 While the introduction of the DePaul MBA may have been modest, its impact over the past seven decades has been momentous. Among the program’s more than 25,000 alumni are generations of chief executives, board members, presidents, accounting partners, bankers, investment managers, marketing strategists, economic forecasters, real estate developers, entrepreneurs and other professionals who have served as the backbone of Chicago business. The DePaul MBA also shaped the futures of 41 professors and business professionals who are members of the business college’s faculty today. The program’s reach extends beyond Chicago, too. DePaul MBA alumni now live and work in all 50 American states and 43 countries. We mark the 70th anniversary of the DePaul MBA through stories of alumni from each of these seven decades, which you can read below. You can also contribute your own memories at go.depaul.edu/MBA. 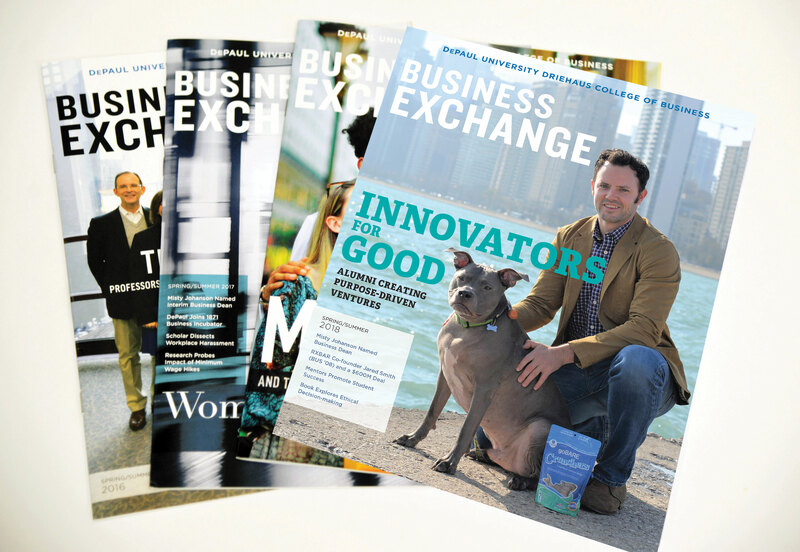 Help us improve the Business Exchange magazine and take our online survey.